I live in Kelowna B.C. Canada. 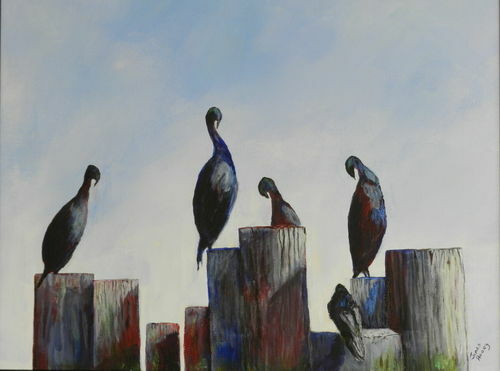 and I carve life like Birds, and paint watermedia. I participated in Lake Country ART WALK 2009,2010,2011,2012 ,2013,and 2015. Art Fair 2016. I have shown at Bottega Christmas show 2014 and2015. jameshooey-woodcarvings, or watermedia or stone carver. I have been accepted to show in 2018 Art Walk.Sept. 8th,9th. 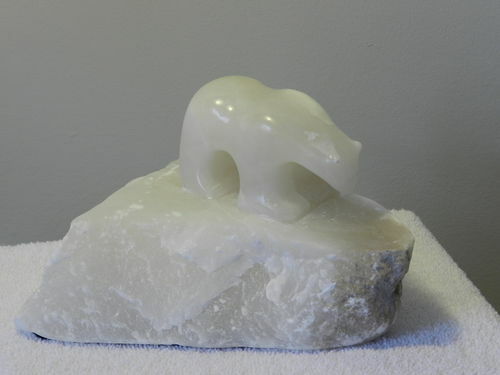 Alabaster stone Bear. Working on Alabaster Snowy owl. NOTE: After being on display for the past six months, my wooden birds are now at my studio. Thanks to Art Knapp for allowing me to display my work. 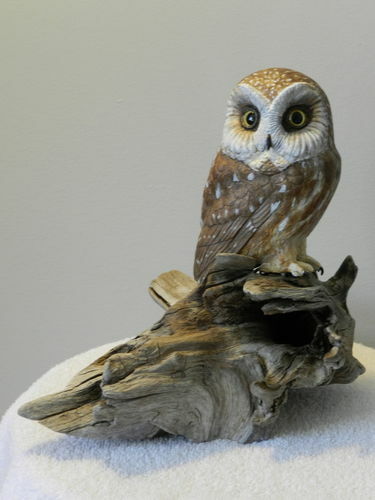 Check out my blog and you will see 9 brand new carvings done in 2011, with more to come. 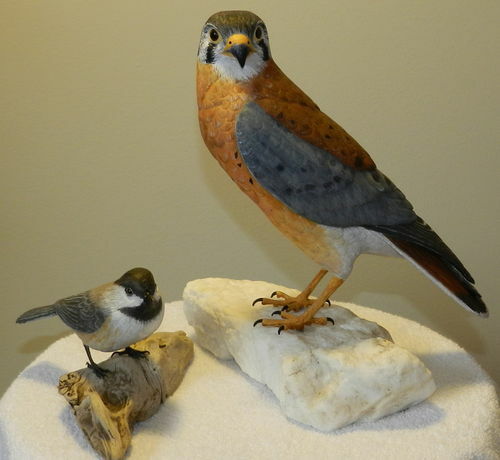 2013 Carvings include male & female quail on base, Kingfisher, plover and nuthatch.2014 has been a fantastic year with 8 carved birds 'SOLD '. I have been carving many Chickadee's. Finished works of Art in 2014. Crow...Bunting, Warbler, Redpoll, Grosbeak,Hummingbirds.......many more. I have finished painting this beautiful saw-whet owl. I am currently painting a screech owl and more owls are planned for this year. Check my blog for updates and new images. Call....... to view my art work.